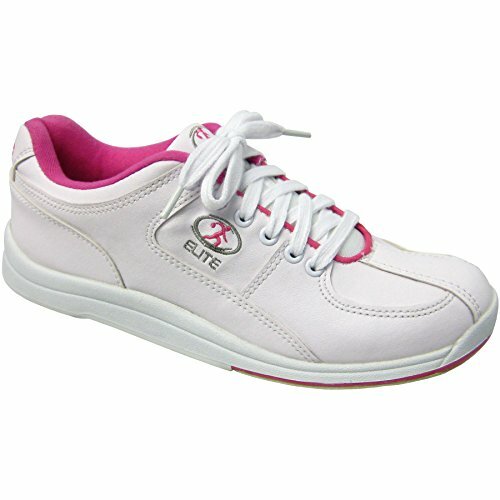 Try out these Elite Ariel White and Pink Bowling Shoes - Women love the fact that they are both pretty and tough. They are made with the highest quality materials available, so you know they are very durable. In fact, they are even backed by a two year warranty. That kind of quality is very hard to find. These beautiful shoes feature universal slide soles with strong support, providing top performance for left and right handed bowlers. These amazing shoes really do have it all! If you have any questions about this product by Elite Bowling, contact us by completing and submitting the form below. If you are looking for a specif part number, please include it with your message.